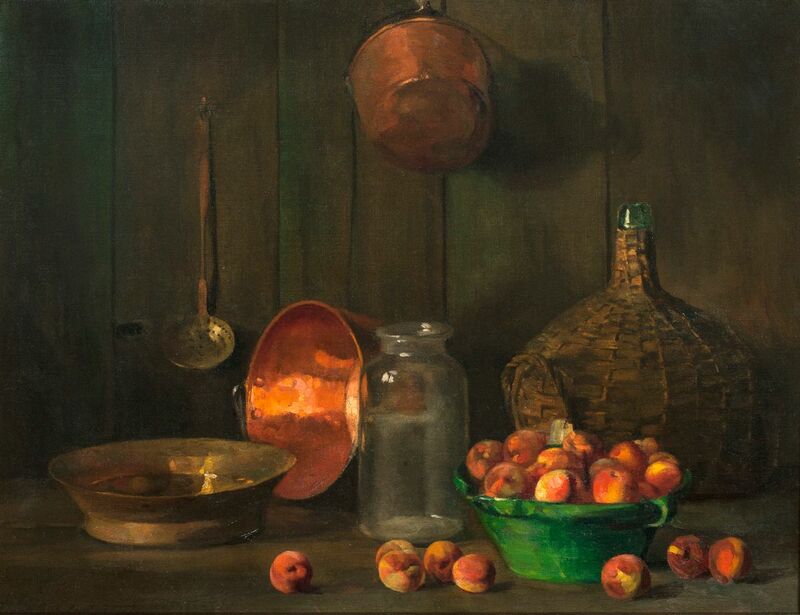 Still Life with Peaches and Cookware, unusual in Linton's body of work as a still-life piece, still carries much of the nuance and depth of his figure paintings. In the dark palette and dim lighting characteristic of his portraiture, Linton's minute brushstrokes and restrained palette make for an exacting realism inherited from his French teachers and, most significantly, Thomas Eakins. 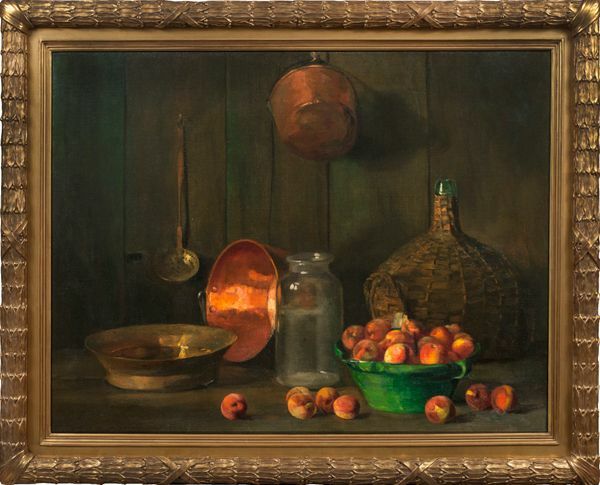 Set against a dusky backdrop, two fundamentally opposing materials—the organic, supple skins of the peaches and the interior sheen of the overturned copper basin—mirror each other in color and visual weight, creating a pleasant dissonance of composition and tactility.